Endowed with advanced conversion capability and rich-featured edition skill, Tipard MP4 Converter is labeled as all-in-one yet agile MP4 conversion software. It allows users to convert both DVD and common video files with fascinate visual effect and ultrafast converting speed to MP4 format for mainstream devices. 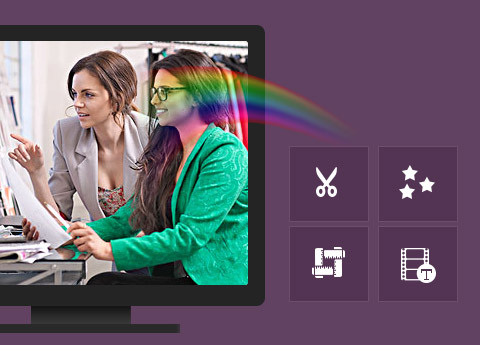 Why Choose DVD to MP4 Suite? 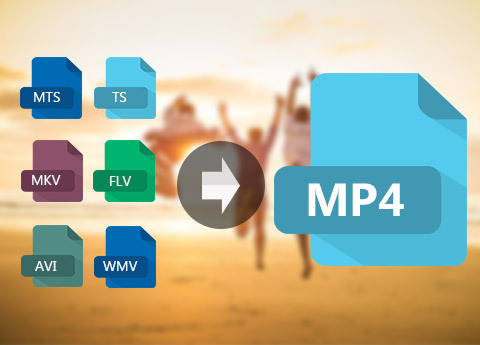 Candidly speaking, it is a world-rank MP4 Converter, using which you can not only convert any video to MP4 but enjoy DVD-video on your player. Editing and previewing videos make it one of a kind as well. Tipard DVD to MP4 Suite shows itself with overwhelming DVD ripping function, of which the built-in DVD to MP4 Converter allows users to convert both home-made and commercial DVD files to MP4 for popular devices like Samsung Glaxy Note, HTC One X, Kindle Fire, Nokia, etc. The key point is that MP4 is not the only output profile, and you can also convert DVD to MOV, TS, WMV, AVI and other HD video formats. Even if you are iPod or audio player users, Tipard DVD to MP4 Suite will measure up to your demand by extracting audio from DVD to MP3, WMA, WAV, FLAC, etc. Embody itself as best MP4 conversion software, Tipard DVD to MP4 Suite undoubtedly gives best solution and provides wonderful experience for users to convert universal media files to MP4 format. You are also allowed to export an array of other mainstream video and audio formats, like H.264, DivX, M4V, FLV, MP3, OGG, AIFF, etc. To make it easier for users to choose corresponding format with devices, this MP4 Converter provide quick search and detailed category differentiating by devices. 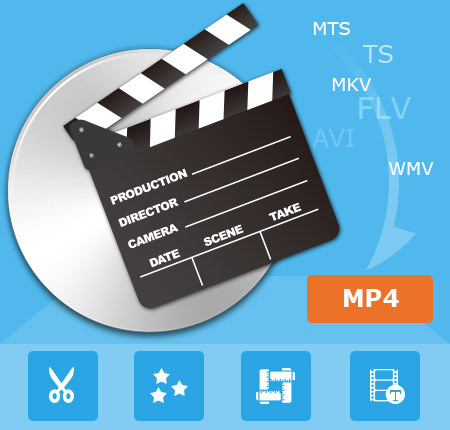 Regarded as best MP4 video conversion software, Tipard MP4 Converter is especially designed with intuitive interface and easy-to-use design decision, in consequence of which users can easily get hold of the conversion formula with a few clicks. The adoption of NVIDIA® CUDA™ technology and AMD APP acceleration makes it bright spot for users to pay attention to. As the ultrafast converting speed is reached at no expense of video and audio quality, you can take it easy to fulfill MP4 conversion process. Powerful DVD and video conversion seems to be great enough for users who need to change video format to yean for. For yours who need to make videos in their own style, editing is the only and best method. Tipard DVD to MP4 Suite provides a wide range of editing capability to help you make unique videos. You can trim video or audio to cut a classic clip of a masterpiece to waste no time on which you don’t like. Adjusting video brightness, saturation, hue and volume is also available to make it show unusual. It can satisfy you by combing several video clips into one and being played with no interruption. It owns a built-in player for your convenience to check the original and target video. You can snapshot your favorite images. Tipard MP4 Converter can convert a mass of DVDs or videos to your desired format simultaneously. This DVD Converter has no limits on the amount of conversions. You can convert all files in bulk. Adair: It is the most comprehensive MP4 converter I have encountered. 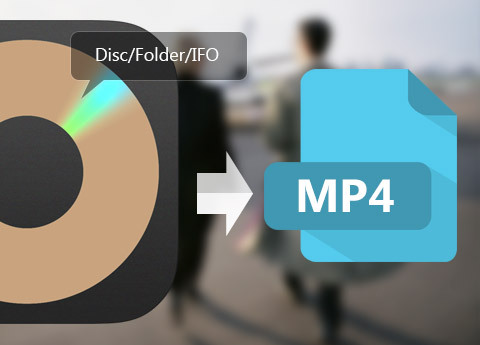 It provides rather easy way to convert DVD and video to MP4 for playing on my iPhone 5. Emily: Tipard DVD to MP4 Suite can be the best selection for DVD zealots, which indeed does great help to convert any DVD to MP4 formats. Lion:On the main facade are specially designed editing buttons, allowing me to make full edition for my beloved video at random. This is the main point that attracts me to get it anyway. This is the best DVD video converter to rip DVDs and convert videos to any 2D/3D video format.